Lots of good stuff on Pete Earley's blog lately. 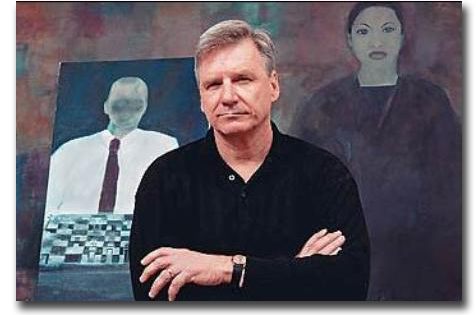 He has a blog post up today with a video of hours of Congressional testimony on the topic of "Where have all the patients gone, examining the psychiatric bed shortage. This will be taking up some of my free time over the next days as I plan to listen to it all. There's also a video of the talk Virginia Senator Creigh Deeds gave at the National Press Club about access to care and his tragedy with his son. Pete was also kind enough to put up a post for me. I'm interested in talking to families for my book, and I asked my colleagues who are active with NAMI if any of the NAMI families might be willing to chat with me. Pete's post resulted in calls from all over the country. I heard from several parents with children who have been terribly ill, in and out of hospitals and jails, stories filled with heartache. One woman spoke at length about her son who has been ill for decades, and then mentioned that she'd also committed her daughter for a post-partum psychosis. She thought the daughter was still angry about it, but when she told the daughter she was going to talk to me about committing others, the daughter said, "I hope she's in favor of it," and this was the first she realized that the daughter was glad she'd been forced to get treatment. The son is still struggling, the daughter is doing well, working and raising her children. One woman called to tell me her distress about being committed, and as we talked for a while, I told her I didn't think she'd actually been committed as there had not been any court hearing. By the time we hung up, she told me she felt better and maybe it was time to let go of some of her anger. Another woman who was distressed about having been hospitalized was upset because she felt the doctors should have been more aggressive about looking for physical reasons for her psychosis, and they missed her exposure to toxic occupational chemicals. One woman told me of her child's struggles with illness and treatment, and about how helpful Assisted Outpatient Treatment had been in keeping her well. At some point the patient had come to realize how much better she felt without her delusions and hallucinations and now she gets treatment willingly. Finally, a man called to tell me about his struggles with schizophrenia. He was hospitalized once decades ago, has never missed a dose of medication, and has been able to enjoy a full life, but his brother, who also has schizophrenia has resisted treatment and has been in and out of the hospital (he guessed 40 times), jail, and has lived on the streets, and never able to work. It's been helpful to me to hear these stories, they add to what I know from my own experiences, and to the stories that our readers have been writing in our comment sections for years. I'll ask that if your story is different than those I described, that you respect that someone else might have had a different experience than yours and that you not write in to criticize or question the story that someone else relayed. I only spoke to these people for a little while, so I don't know every nuance of their care, but what I do know is that some people found involuntary treatment to be helpful for themselves or their family members, and some did not. Can You Make Docs Be Nice? Today's post, called Legislating Kindness, can be found on our Clinical Psychiatry News column. Please surf over there for the post. They no longer have commenting ... I don't know why that is...but please come back here if you want to say something. There was an op-ed in the New York Times recently by the Executive Director of the Colorado Department of Corrections about the 23 hours he chose to spent in solitary confinement (ad seg, I think is what our forensic friends call it) --- see "My Night in Solitary Confinement." 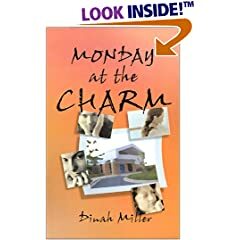 In a similar experiment, psychiatrist-blogger Simple Citizen spent a day going through the motions of being a patient on a Residential Treatment Unit where he is the psychiatrist. He details his experiences in "My Day as a Patient." I don't believe these experiences are anything like the real thing, nor do I believe they are meant to be. For one thing, the person having them has not gone through the lifetime of events, traumas, distresses that led the inmate or patient to be in those places. Or in the case of the patient, the doctor also is not experiencing both the internal discomfort that comes with the mental illness, or the side effects which come with the medications, or the emotional upheaval that comes from having been left there by their family, and the insecurities that come with being a teenager or any brand. And they both get to go home. Why, Dr. Simple Citizen, do the kids have to stand on line facing straight ahead without talking while they wait for breakfast? What's wrong with talking? Still, I like that these people did this, it's good that they want to try to understand what their charges are going through. Even if it's not a complete understanding, it still acknowledges that the condition is different with a willingness to see and understand what the other is going through, for better or for worse. On a completely different note, Simple Citizen pointed me to his post by mentioning in our comment section that he used to work at an involuntary state hospital. What's an involuntary hospital? I ask because Clink has pointed out to me that the rates of patients in public facilities varies greatly, state by state, for involuntary hospitalization. Wait, so there are facilities that only take involuntary patients? In our state hospitals in Maryland, at this point, the vast majority of beds are for forensic patients-- you get there by way of a judge. If you have a chronic, severe psychiatric disorder requiring long term treatment which you'd like to get voluntarily, you're out of luck, we don't do that. Or if you have a chronic, severe, intractable condition which makes it so you can't live in the community, you may have no where to go. But when we did have state hospitals, many of the patients were there voluntarily, and some got better and discharged in a matter of weeks. So I'm perplexed about a hospital that only has involuntary patients, what if they want to sign in? Help me out here, Simple Citizen and others. "App Tells You How You Feel," by Amir Mizroch. TEL AVIV—Beyond Verbal Communications Ltd., a voice-recognition software developer here, is rolling out an app promising something Siri can't yet deliver: a readout on how you're feeling. Called Moodies, it lets a smartphone user speak a few words into the phone's mike to produce, about 20 seconds later, an emotional analysis. Beyond Verbal executives say the app is mostly for self-diagnosis—and a bit of fun: It pairs a cartoon face with each analysis, and users can share the face on Facebook FB -0.34% or in a tweet or email. These companies say the tools can also detect fraud, screen airline passengers and help a call-center technician better deal with an irate customer. And they can be used to keep tabs on employees or screen job applicants. One developer, Tel Aviv-based Nemesysco Ltd., offers what it calls "honesty maintenance" software aimed at human-resource executives. The firm says that by analyzing a job applicant's voice during an interview, the program can help identify fibs. That's raising alarm among many voice-analysis experts, who question the accuracy of such on-the-spot interpretations. It's also raising worries among privacy advocates, who say such technology—especially if it is being rolled out in cheap, easy-to-use smartphone apps—could be a fresh threat to privacy in the digital age. Ugh, I may need to stick with the old introspection thing. Hopefully your phone has told you that this post was written "tongue in cheek." I've mentioned it before, but Clink and I are working on a new book. 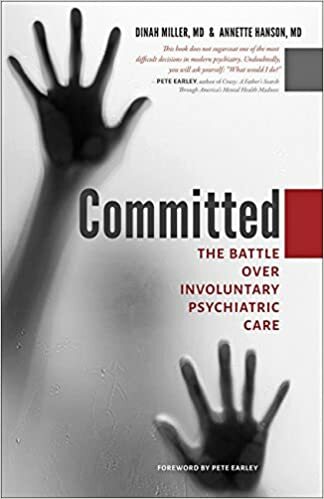 Today, it the book-to-be is titled is "Committed: The Battle Over Forced Psychiatric Care." I've started the process of meeting with people, interviewing, shadowing -- it's my mid-career crisis of being part-Shrink/ part-journalist. Blogging, in the coming months, may be a bit less frequent, and may be more focused on involuntary treatments, because that's what I've been thinking about. So for yesterday's headlines here in Maryland, do read "Legislation Pushes Involuntary Mental Health Treatment" from yesterday's Baltimore Sun. I went to listen to one of the Senate Committee hearings on some of the legislation -- the hearing room was packed with dozens of people there to give testimony and emotions running high.